It has been quite a journey to get to this point. It feels so long and somehow rather quick in hindsight. Suddenly it’s now the end and it’s the beginning all in one. One thing I’ve been marveling at in the last week or so is where we were at this time last year compared to where we are today. 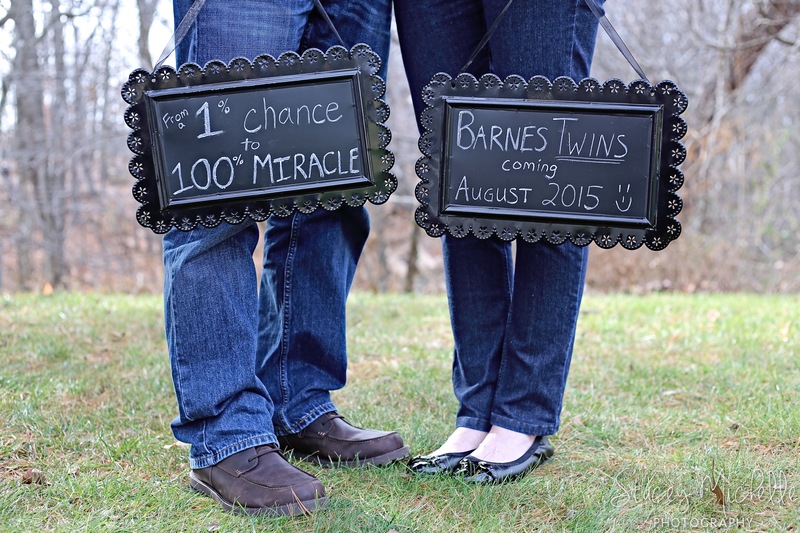 August 4, 2015 (Tuesday of this week) – We will welcome our daughters into the world and everything will change, forever. Our daughters that we were not sure we’d ever have. Almost exactly a year to the day since that awful, first injection. One takeaway for me from this story is that we have no idea what God has in store for us. What His plans are for our future. To remember how we were feeling this time last year and seeing how He worked out His specific plan for us. And this is so true – in so many areas of life, for so many people. God has a plan. And even though we may experience some pretty low times of desperation or questioning, we can look to how God has worked in our lives and in the lives of loved ones we know, and be reassured that there is a next chapter in our story. It may be one we never imagined, but His plans are far better than ours can ever be. Today, I am grateful and marveling at how our lives have completely changed from where we were a year ago, and we never could have predicted how it would turn out. What are you waiting for today? Trust that God does have a plan. And that His plans are perfect. How have you seen this play out in your own life? October was hard. Really hard. On the personal and family side of things. A month that started with a lot of hope, felt like it crashed and burned quickly. After a disappointing, failed first round of fertility treatment in August, we started a second round of treatment and hefty meds in September. This time we actually made it all the way through an IVF cycle (which is no walk in the park, but those are details for another day). It was like holding my breath every single day. But after making it to an embryo transfer, I was filled with so much hope, thinking “this could finally be it”. Almost 2 years later. Then life came crashing in at once. My mom started chemotherapy for breast cancer. Two days later my grandma passed away. Two days after the funeral, we go in for our long-awaited pregnancy blood test. (It’s an excruciatingly long wait from the day of the transfer to when you can take the actual test. It feels like forever.) We got the call later that afternoon that it was negative. I haven’t been very acquainted with grief and mourning in my sheltered life. But I became acquainted quickly. I didn’t even have a name to put on our own personal situation. It wasn’t a miscarriage because it was never a clinical pregnancy. But if we believe that life begins at conception (and we do), then it was a life lost. We have a picture of our 3-day old embryo that they gave us, before they transferred it back in. It’s a little 8-celled miracle. It still sits on my dresser, partly because I’m just not sure what to do with it now. But that was a life. I do believe we have a child in heaven now. I had some straight up bouts of “ugly crying” that weekend. And moping around, and crying again. It was a tough couple of weeks and it just was too much. I learned about grief and feelings of brokenness. And I learned that I just needed to stop and figure out how I, personally, needed to deal with it. And that it was okay to feel how I felt. Getting to the point of this story, if I had written this post when I first thought about it, it would have been very different. I was going to call it “A Time to Mourn”. There’s nothing wrong with that, but thanks be to God, the story didn’t stop there. I was so glad to turn the page on October. I’ve never been happier for a new month to come. November then turned into a big month of healing and growth for me. It’s hard to summarize, but I think that God had to take me to a place of brokenness to really start to find a hunger for Him. because You recognized the sadness of my affliction. I started devouring a couple of great books. The un-ironically similar Bittersweet and Every Bitter Thing is Sweet. Both exactly what I needed to read and worthy of their own posts. I started diving into different scriptures and finding that I had a hunger to know more of who God is. With refreshingly nothing to do with my circumstances. My circumstances were what helped drive me to this place, but I wasn’t looking up passages solely on hope and waiting anymore. I found a craving just to know Him better. I dove into Scriptures on the attributes of God, what He says about Himself, and His promises to us. God doesn’t ask us to toss our grief and sorrow aside. To sugar coat it and forget it. He wants us to turn to Him in the midst of it. He hurts when we hurt. And it’s in the brokenness that we find a new dimension of Him that we wouldn’t know otherwise. We learn about the Abba Father who wants us to climb into His lap and bring everything to Him – our hurts, our wants, our questions, our cries for healing and peace. This is the God that I’ve been discovering over the last several weeks. I’ve found myself praising Him for bringing me through this time of sorrow because it brought me to this place with Him that I wouldn’t know otherwise. And it’s a sweet place to be. It IS the beauty in the brokenness. Thank you all so much for the outpouring of support, encouragement, and prayers from my last post, where I opened up about our journey through infertility. I wasn’t quite sure if many people would read it, or what reactions might be. But I was blown away. I do hope these posts can be – at the same time – authentic, open, informative, God glorifying, and encouraging to those going through any sort of trial. In the spirit of remaining authentic and vulnerable (since I don’t have everything together), I will tell you there have been some hard days. If I had written these posts in May or June, they might have been a bit more raw. There were a couple days in June where I think I got a taste of what depression might feel like. It only lasted a couple days luckily. I was definitely not myself. It can be challenging when it seems like everyone around you is pregnant and your Facebook feed is full of birth announcements and gender reveals. Or so much worse, when you hear stories at work of children who are pregnant as a result of the unspeakable abuse they have suffered. It seems so backwards and unjust. It’s hard. Trials are a test of our joyful confidence. In God. Despite our circumstances. In the midst of trials. Knowing, believing, clinging to the hope and truth that God’s plans are best. Even when we don’t understand it or feel it. Trials are an opportunity to show where our hope really lies. Peace is confidence and trust in God’s good and wise control of your life. Joy is a buoyancy. It’s unsinkable. It’s a focus on the unchanging privileges we have in God. Peace and an unsinkable joyful confidence. This has become a prayer for myself and one I’ve had others praying for me too. That I would maintain a joyful confidence and a peace, despite our circumstances. Despite what our feelings of the day would like to dictate. God has definitely answered that prayer and I am so grateful. We are actually in a pretty good place right now. We knew God started answering that prayer for peace and a joyful confidence when we walked out of the doctor’s office in late June with our medical plan of action (after months of waiting for insurance to work out so we could start doing something) and we actually felt really light and carefree crossing the parking lot back to our car. How many people leave a fertility clinic practically skipping and laughing to their car? I knew it was strange… Only God. And we’ve experienced relative peace… through some pretty brutal medical treatment involving 2 weeks a month of self-administered shots, 3 times a day… Only God. I don’t know what next month will bring, but I’m learning to lean on Him for each and every day. That’s really all I can do. And quite honestly, that’s not a bad place to be. How do you find peace and joy in the midst of trials? What are some Bible verses that you turn to in those hard times? Everyone is dealing with something. It struck me one morning as I was getting off the metro a couple months ago. People were coming and going from all directions. I had just ridden my 5 stops in a bit of a distracted fog. A funk really. But stepping off the metro, I realized that I was bracing myself. Putting on a happy face, ready to walk into work again like everything was wonderful. And if that’s what I was doing (me, someone who has the strength of positivity) I wondered how many people around me were doing the same thing. Or who didn’t even have the strength that day to try. Everyone is dealing with something. For us, that “something” has been and continues to be a battle against infertility. There, I said it. Ripped off like a bandaid. We’ve gone public. Completely exposed. Such a taboo and vulnerable subject. And I’m tired of it being that way. It’s become core to who I am now and no matter our outcome, I think it will always be a piece of me. Infertility actually affects 1 in 8 couples. I want to break the stigma and help people understand how common it is and how many people around you are probably dealing with it too. And possibly help you understand what they’re going through. To encourage others who are in the same journey. I’ve heard it said that infertility carries the same weight as a cancer diagnosis, as far as emotional trauma goes. It is a hard and lonely road and I want others to know that they’re not alone. I want to encourage others to reach out to their support networks or others dealing with it too. So that God can be glorified. I know that if we have to go through this, that one of the purposes is so that God can use it to His glory. And He can’t be glorified if we don’t share what He has done (& is doing). To share (& process) some of the lessons that we’ve been learning through it all that really are applicable to everyone, regardless of your exact circumstances. Like lesson #1: “Everyone is dealing with something”. I’ve been held back from sharing publicly by fear of being too vulnerable. Not sure if I wanted everyone to know our business. (Our inner circle of friends and family have been journeying with us for months.) But I’m feeling even more compelled by the reasons above and it’s time I give in. As for our journey, we’ve been “trying” for 2 years. 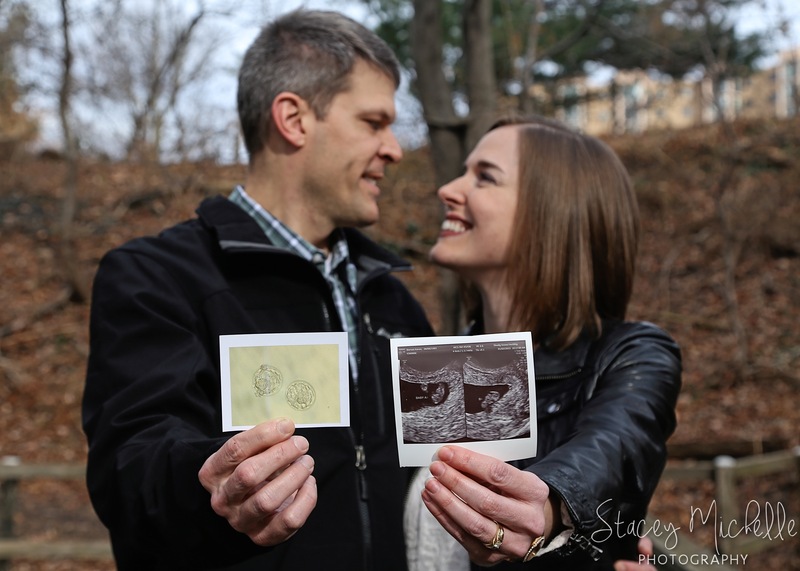 Journeying and struggling through “infertility” (as a label) for the last 9 months or so. Currently going through medical treatment, which is no walk in the park. It has been a roller coaster. So many ups and downs. Sometimes by the hour. Certainly by the day, week, and month. If I’m going to lay it all out there, I’ve struggled with feeling rocked to the core of my identity, with feeling incredibly alone, with feeling traces of hopelessness, and of course, with wondering “why us”. We’ve also been drawn closer to God and to each other. We’ve had the great opportunity to encourage and be encouraged by others we know going through this too. We’ve experienced the tremendous blessing of an amazing support network. We’ve seen God move in some mighty ways and have learned some really valuable lessons. Everyone is dealing with something – a loved one battling cancer, conflict in a marriage, chronic migraines, feelings of loneliness, a miscarriage, unemployment, a personal financial crisis… something. A simple, but profound lesson that I’m grateful to have fully realized. It has helped me view people with more kindness and empathy. In a world of social media where we choose which are the best pieces of ourselves to post publicly. Where we constantly compare ourselves to someone else’s highlights (but not the lowlights). And in a society where we put on our happy face and answer “I’m good, how are you?” without thinking twice. We just don’t know what others are struggling with. It has made me want to be kinder to the cashier at the store, to greet the man always handing out papers at my metro stop, to give drivers on the road the benefit of the doubt (I know that’s a hard one!). To realize and remember that the person next to you is probably dealing with something hard too. We might as well choose joy and try to spread it to others.